Juju Hat madness at tabletonic.com.au! Could this possibly be my favourite Table Tonic Juju yet? Why, yes. Yes it could. 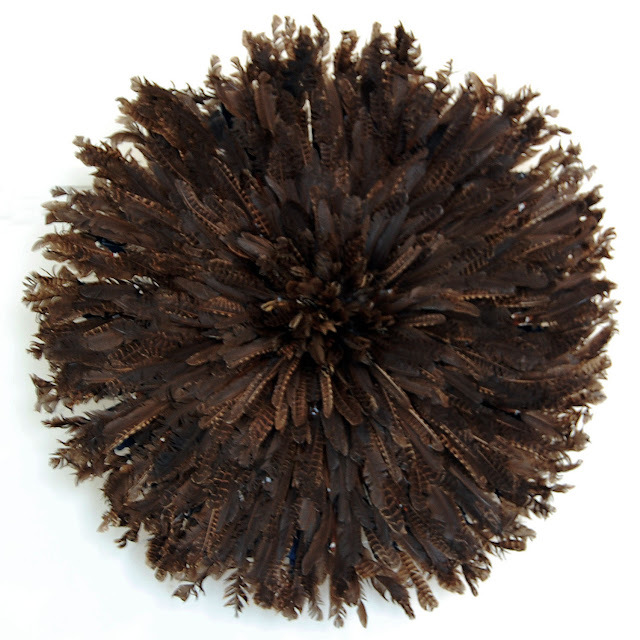 Chocolate-y, feather-y goodness. Simply edible. PS $650. Free shipping within Australia. Click to buy. And PS Violet Juju's are now in stock. PPS Pink, Blue, Natural Brown & Natural Black Juju Hats are available for pre-order and will be arriving mid/late November! My problem is deciding on a color! oooohhh thats a nice one! love the natural patterns in the feathers! Saw a new client up near where i suspect your new joint is last night! aaahh avalon. paradise! It is really a nice and helpful piece of info. I'm satisfied that you simply shared this useful info with us. Please stay us up to date like this. Thanks for sharing.